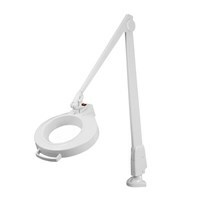 Easily mount to desk, table, vertical or sloped surface. Has 34 inch arm. White. 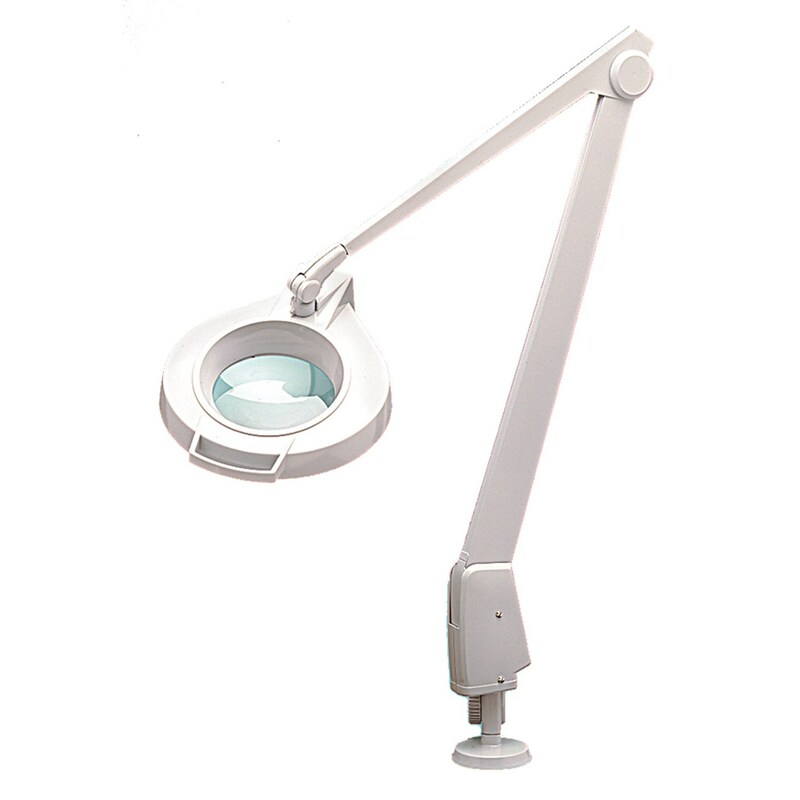 DAZOR Magnifying Lamps. Each magnifying lamp has a 5 inch precision ground optical glass lens with less distortion and true color rendition. Comes with either 3 diopter lens (1.75X) and optional 3x add-a-lens for additional power or 5D (2.25x). Uses 1 Circline fluorescent bulb (included).1 yr. warranty. For 5-Diopter DAZOR Magnifiers, indicate by Adding (5) After the Item Number.